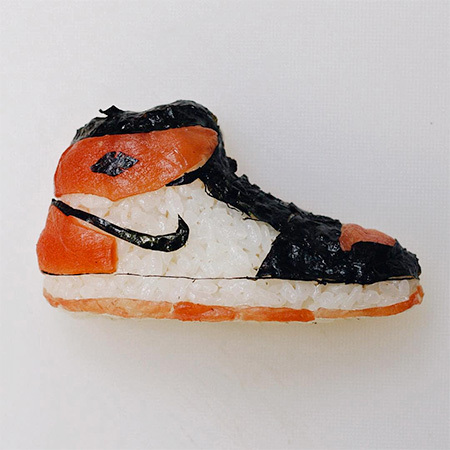 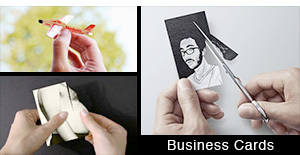 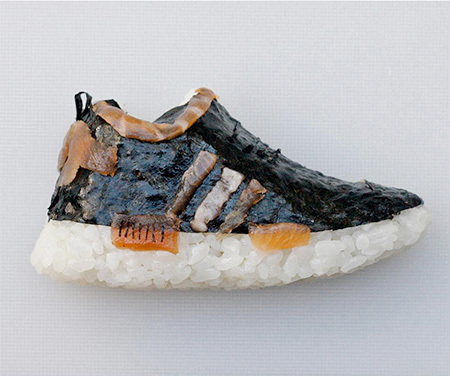 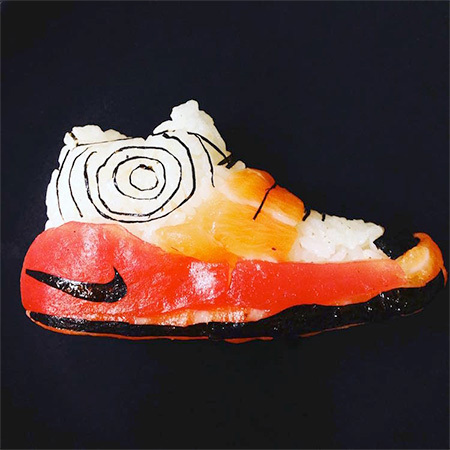 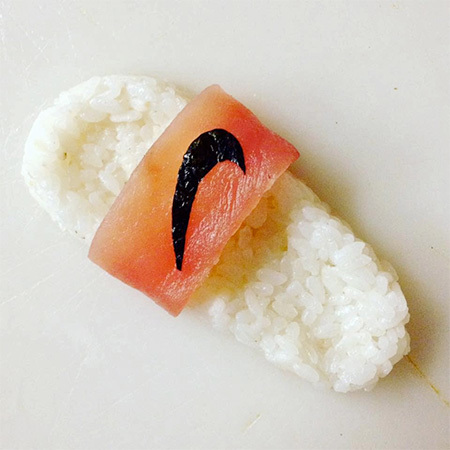 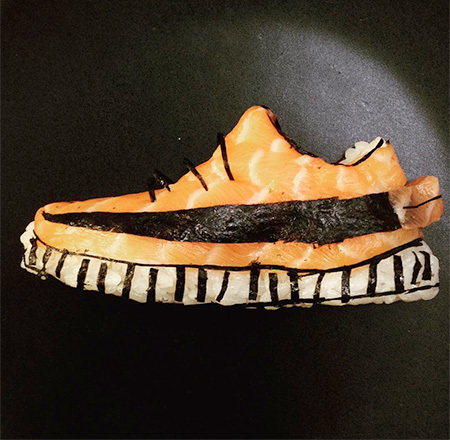 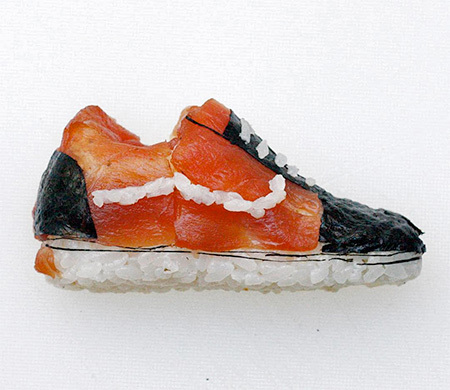 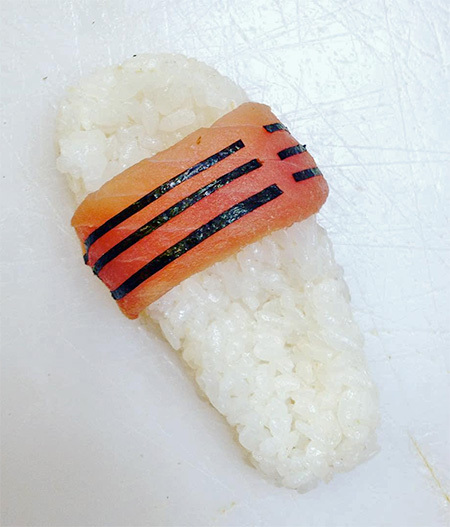 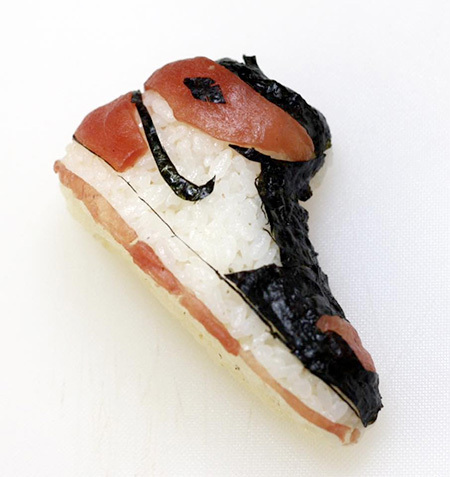 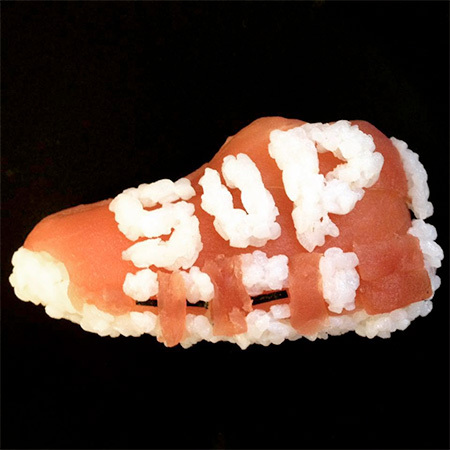 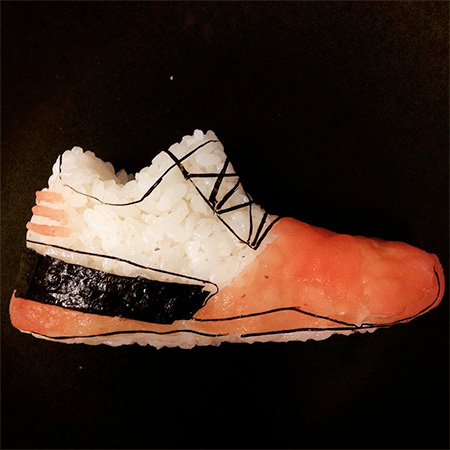 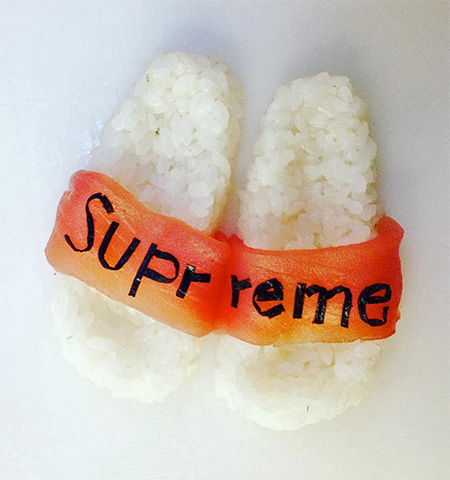 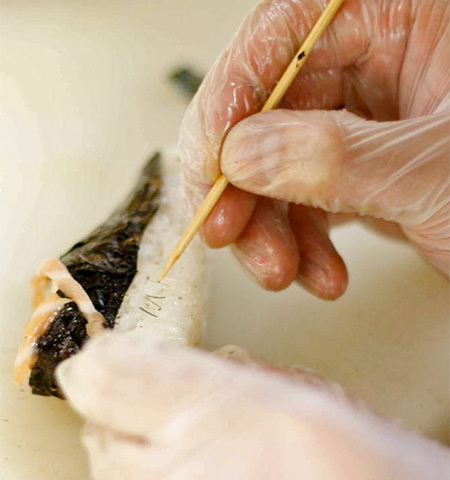 Fresh sushi designed and shaped to look like miniature detailed replicas of Adidas, Nike, Yeezy shoes. 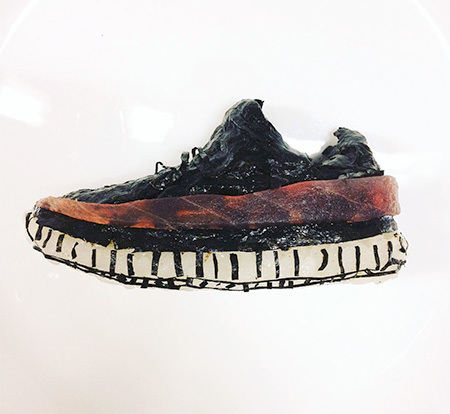 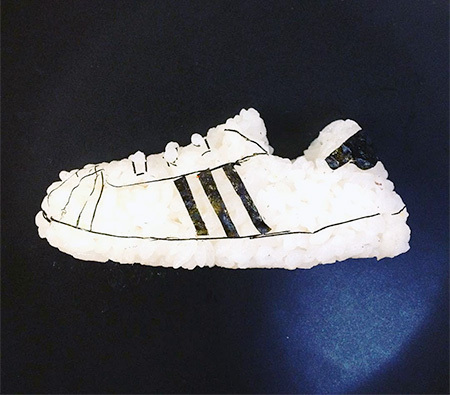 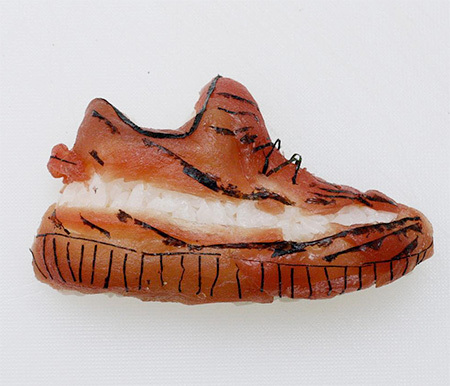 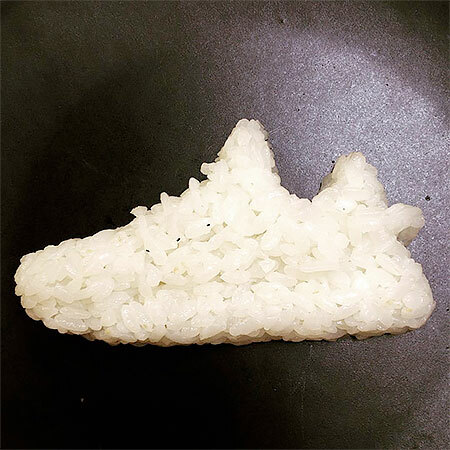 Edible rice and fish shoes made by talented sushi chef artist Yujia Hu. 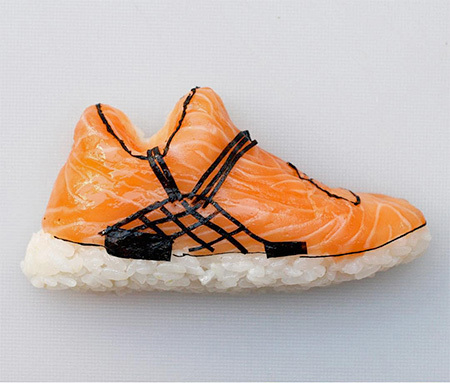 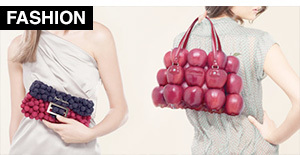 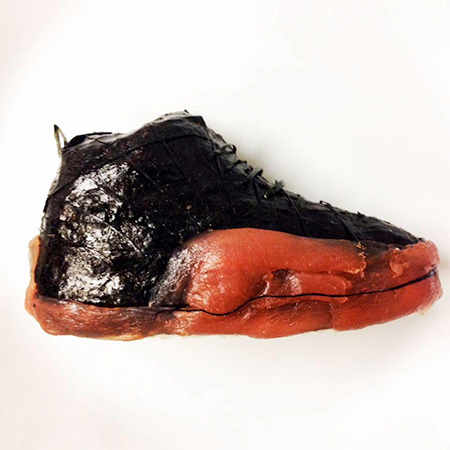 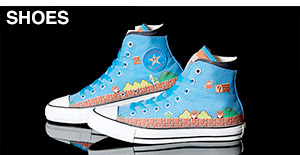 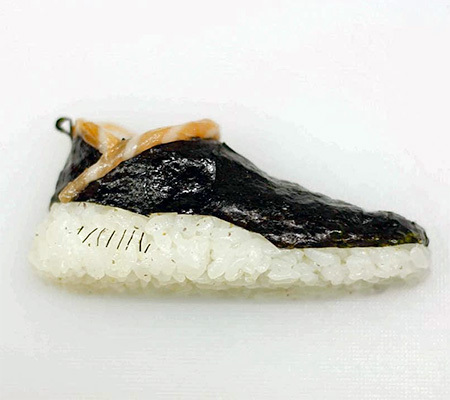 These sushi shoes… will be CHASED… by the market.